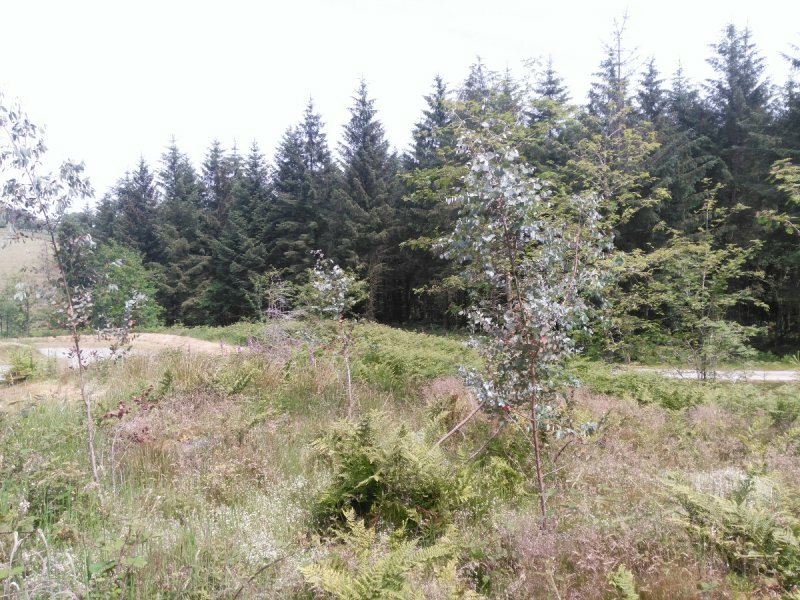 Dyfed Powys Police is investigating an illegal rave that took place in Halfway Forest over the Spring Bank Holiday weekend. The rave caused disruption to the trails in Halfway Forest with a considerable amount of mess and rubbish left behind. 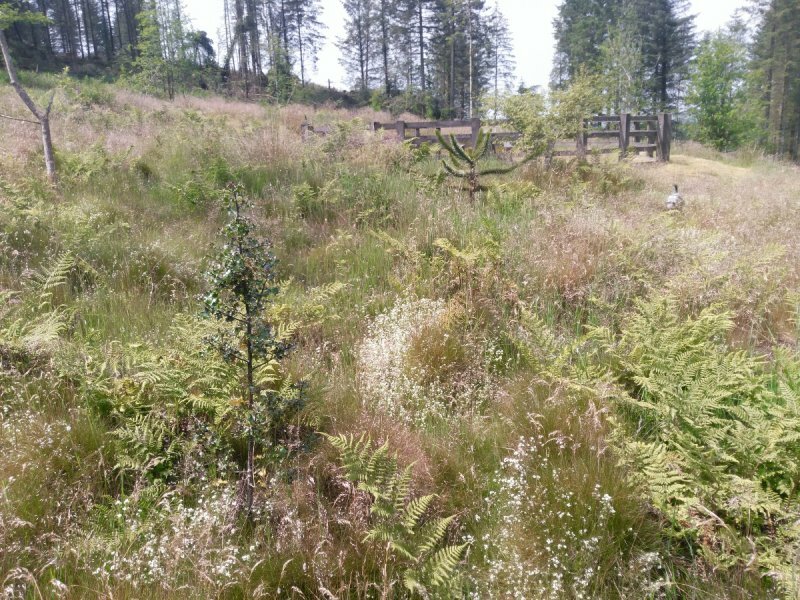 Natural Resources Wales quickly employed local contractors to perform a clean up and have estimated that the illegal event will cost them between £2,000 and £3,000. Gatherings such as illegal raves can cause considerable anxiety to the community and can be extremely dangerous. 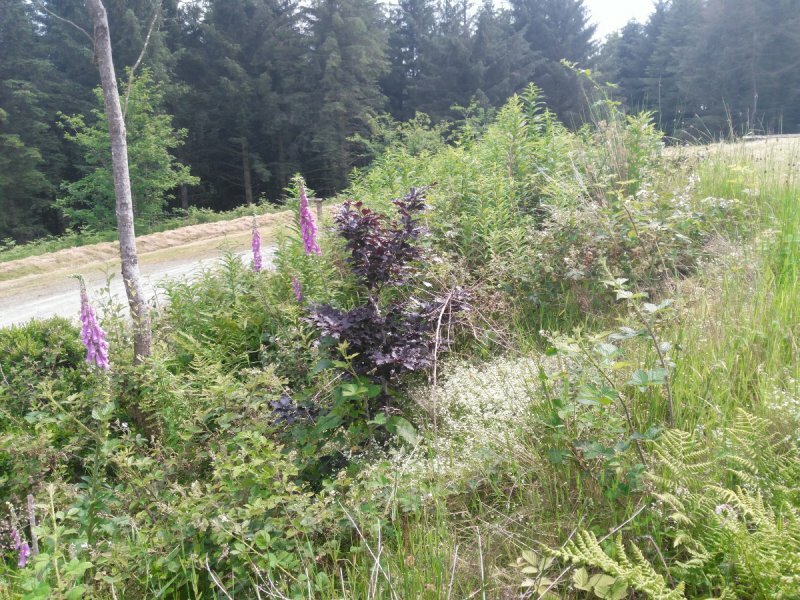 We have made several arrests in connection with this rave and we will not tolerate people trespassing on private land causing considerable damage and disturbing the community. 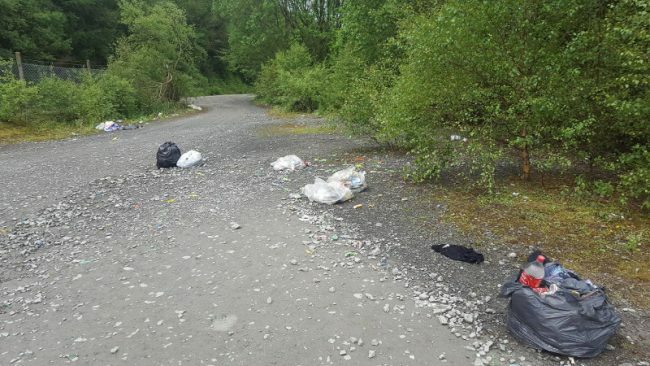 We want people to come to Dyfed-Powys and enjoy what we have to offer, but I would urge people to think twice before coming here to behave irresponsibly and spoil it for other people. 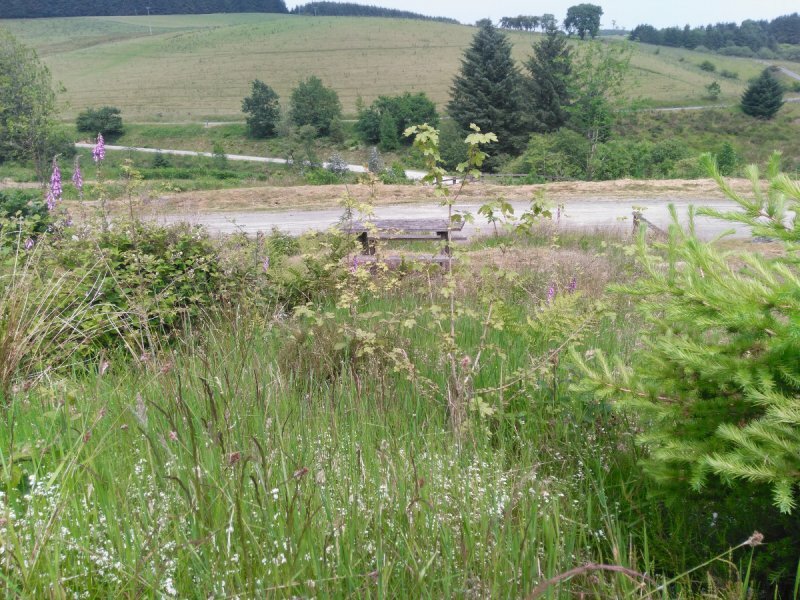 Farmers, landowners and local communities are encouraged to report any suspicious activity immediately to the Police; this may be an unusual numbers of vehicles, especially camper vans, vans or trucks in the locality, illegal trespassers who may be doing ‘recce’ of sites in advance of the event. I can assure local communities that Police will take the appropriate action to deter illegal gatherings and deal robustly with any criminal offences discovered or disclosed. 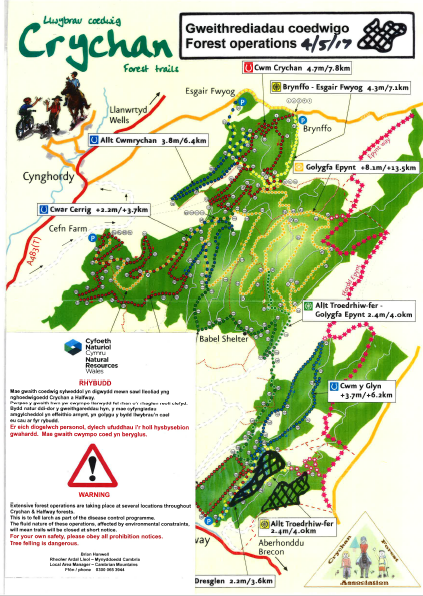 Updated map showing harvesting operations, ongoing a in Crychan Forest. These activities are due for completion by the end of September. Please obey all signs in the forest. You risk your own safety if you ignore these prohibition signs. Harvesting machines have a huge safety exclusion zone, due to the possibility of chain shot. 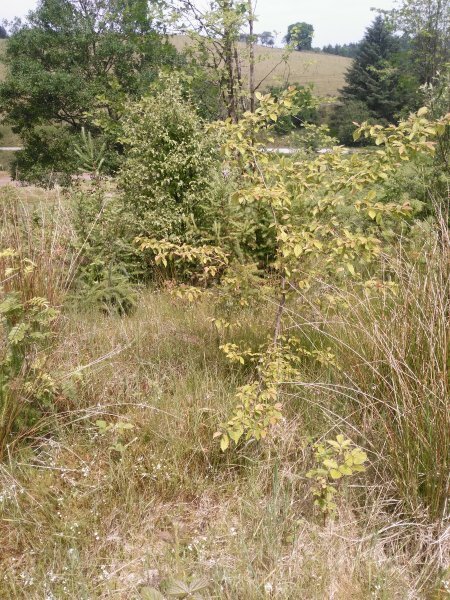 The trees planted during the winter of 2014/ 2015 are growing well and adding some interest to Brynffo Car park. See when we planted them. 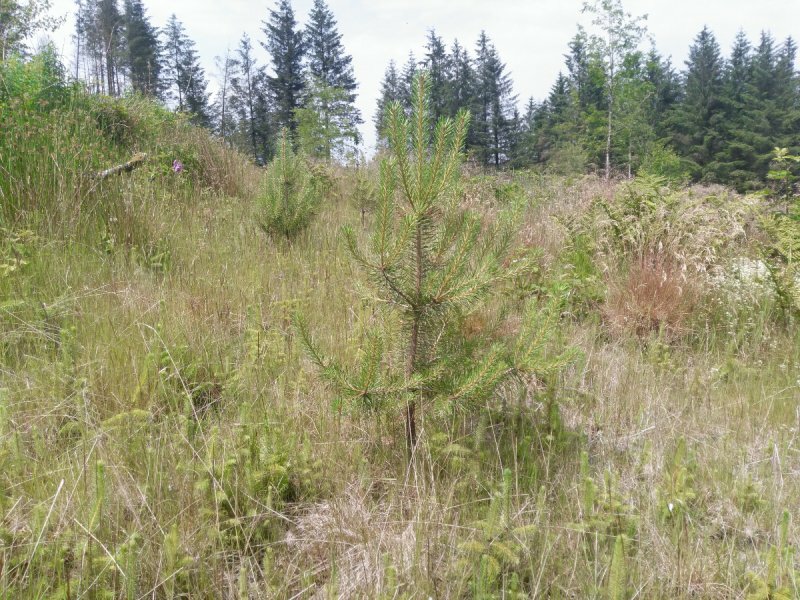 National Resources Wales have reported that the clean up in Halfway Forest has been completed. Thanks go to Brian Hanwell and Gareth Blythin for all their efforts and for keeping us informed. 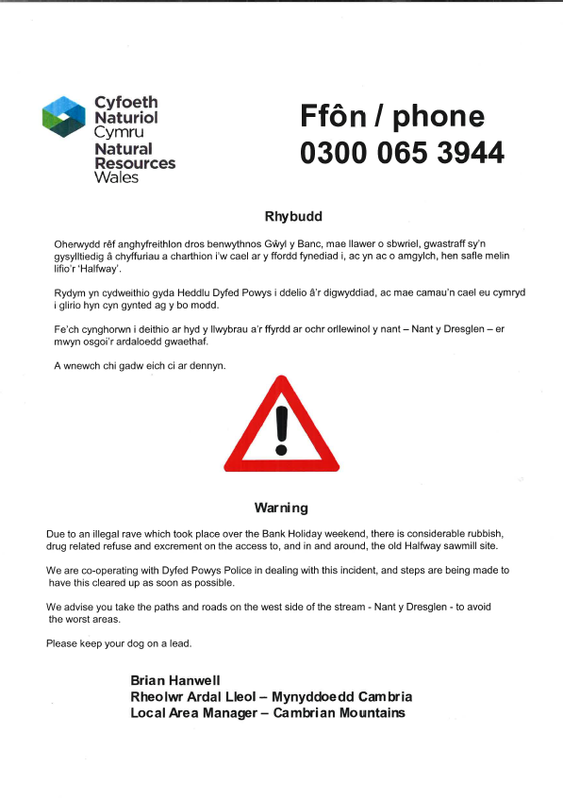 Natural Resources Wales have issued the following notice following the illegal rave in Halfway Forest that occurred over the Bank Holiday weekend of 27th to 29th May 2017. New photos have been provided to the CFA using the email link at the bottom of each trail page. Thank you Chrissie and Diane for the images of your ride. 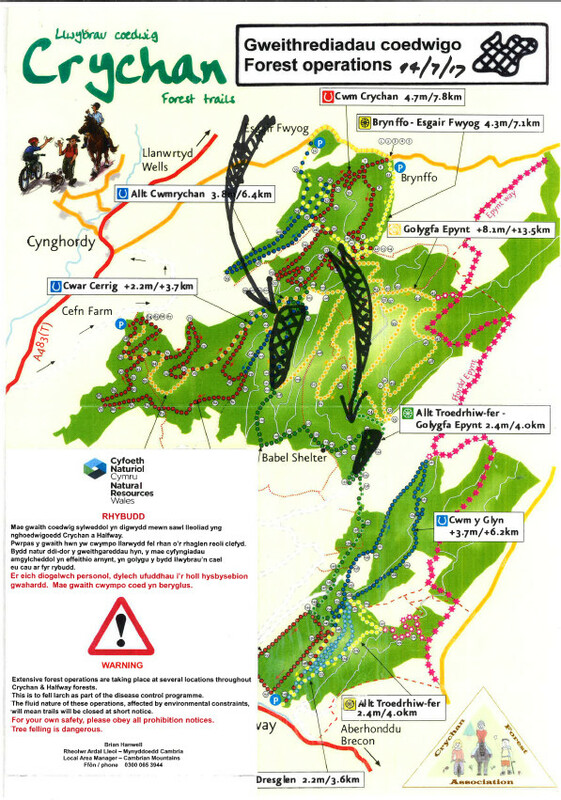 Closures to Crychan Forest Trails within Halfway Forest. These closures are due to Harvesting operations that will be carried out over the next few weeks. Works are planned to finish towards the end of June. 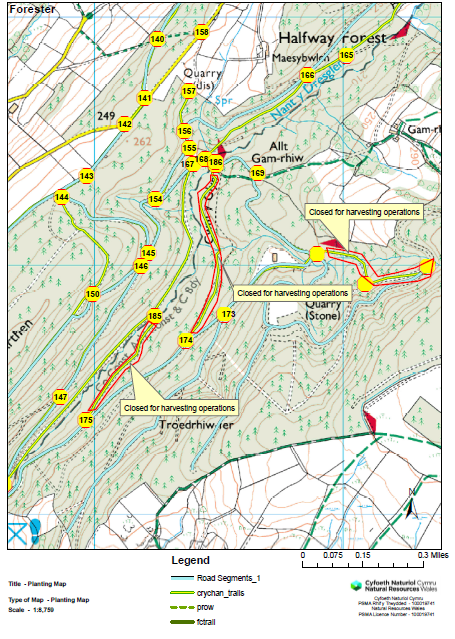 These closures effects the Nant y Dresglen Walking Trail and the link to the Epynt Way. The track between post 128 and 132 is closed. 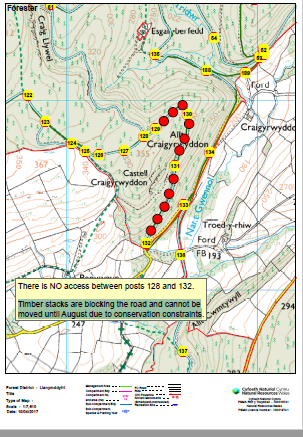 Timber stacks are blocking the road and can not be moved until August due to conservation constraints. The Share the Trail Video is still relevant. 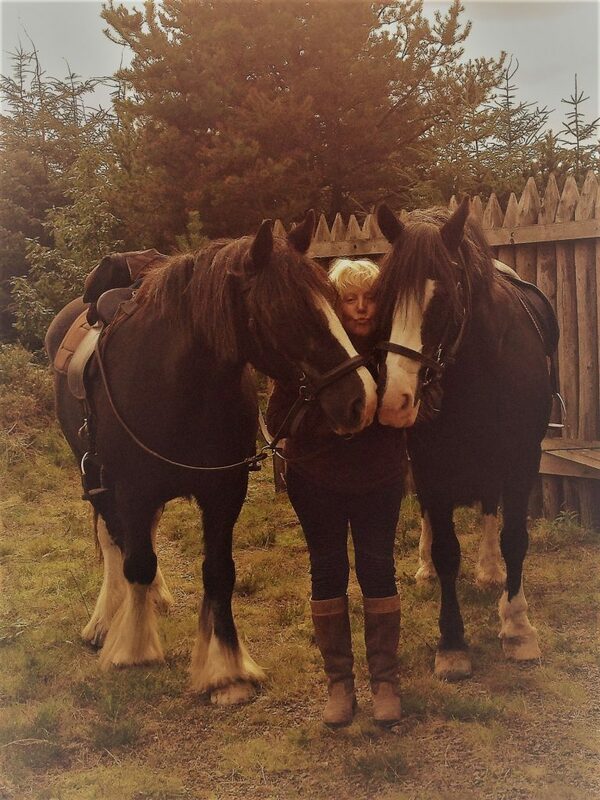 The video shows how dangerous the trails can be if no consideration is given to horse riders and the demonstrates what to do to stay safe.